Beauty Box Video 4.0 takes the best selling and most awarded skin smoothing technology available and gives it realtime rendering (on some GPUs). Beauty Box already had the best automatic masking and skin retouching capabilities of any plugin and now it has incredibly fast rendering as well. Beauty Box is simple and automatic to use. This video plugin uses face detection to automatically identify skin tones and create a mask that limits the smoothing effect to just the skin areas. Just apply the filter, choose your frame, click the Analyze Frame button, set a few Smoothing options, and let the skin retouching plugin render. That's it! This automatic process is designed to speed up the workflow that is usually required for skin retouching in film. The mask that is created will generally not need any adjustment. If you do want to make some tweaks, however, we have plenty of tools for you to work with. This is especially important for designers working under tight deadlines or without additional masking tools available. 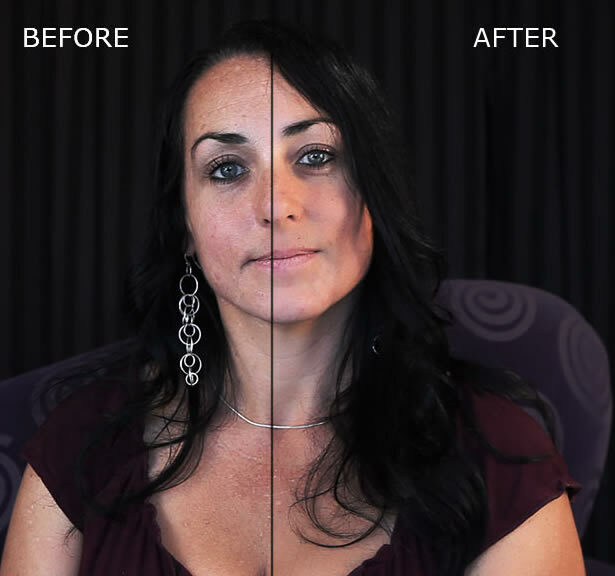 The Beauty Box Video skin retouching plugin acts as digital makeup in post-production by incorporating state-of-the-art face and skin detection and smoothing algorithms. It takes the edge off of skin and makeup problems that can be visible with HD and 4K video. Realistically and quickly applying digital makeup that makes your talent look great, without making them look airbrushed or blurry. Making for happy talent and producers. Beauty Box Video 4.0 takes the best selling and most awarded skin smoothing technology available and gives it realtime rendering (on some GPUs). Beauty Box already had the best automatic masking and skin retouching capabilities of any plugin and now it has incredibly fast rendering as well! We used CUDA and OpenGL to give Beauty Box realtime or near realtime rendering. Your talent will be just as beautiful as ever, but now you won't have to wait to smooth wrinkles and blemishes! Video editors and artists no longer have to manually create masks or retouch frame by frame. Beauty Box automatically identifies the skin tones and removes imperfections, like digital makeup, while leaving important facial details sharp. It's used by such companies as Park Road Post Production, NBC, and Universal Music. Beauty Box is a powerful tool for any production that requires people to look their best. Beauty Box Video 4.0 is the makeup artist you didn’t have. Our skin retouching video plugin for After Effects, Final Cut Pro, Premiere Pro, Avid, and OpenFX applications, like Davinci Resolve, is simple to use. This video effects plugin saves hours of your production time while making your client look years younger. The Skin Smoothing controls in the Beauty Box Video plugin work together to smooth over wrinkles and blemishes in your subject's skin tones. The three main controls make it simple to dial in the amount of retouching. From very subtle to more airbrushed. It keeps the important features of the face sharp while reducing or eliminating wrinkles and blemishes. The magic button: Analyze Frame. This is where the real work happens, yet you barely have to do anything with this plugin. Click Analyze Frame to have Beauty Box Video analyze your footage and set the skin tones. These skin tones then get tracked throughout the footage. It's an automatic process that creates a great mask that adjusts as your subject moves and speaks. Beauty Box supports both CUDA and OpenCL, allowing us to get realtime or near realtime playback with Nvidia and AMD graphics cards. This gives you incredibly fast rendering regardless of what platform or host application! We built Beauty Box to work fast so you can get the look you want quickly and get back to the rest of your edit. 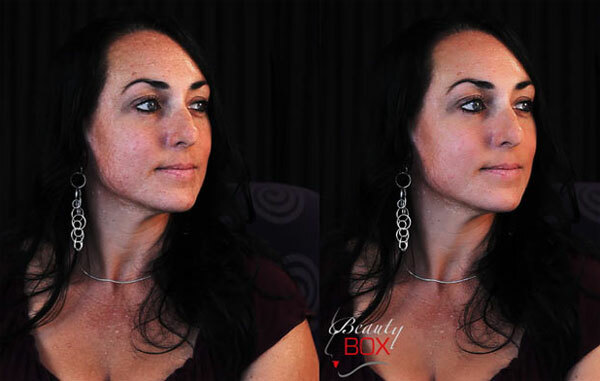 Beauty Box can solve other skin retouching issues as well. With controls for reducing shine caused by oily skin and bright lights and built-in color correction, you have all the tools you need for retouching. It’s a comprehensive plugin for doing beauty work. 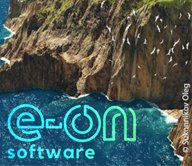 Besides skin retouching, the Styles preset included in Beauty Box has dozens of visual effects and color correction that you can add on top of your footage. Whether you’re searching for an Old-Hollywood glow or a highly stylized sunburst effect the Styles preset menu makes it easy to add interesting looks to your footage. Beauty Box 4.2 is released and contains some important updates for GPUs and fixes some bugs. It should now work better with Resolve and graphics cards with 1GB or less of memory. In some cases, if you ran out of memory, the render would just fail. It should now revert back to the CPU. So it'll be slower but at least it'll render. Color Correction and Shine Removal should also work better, as some bugs there were fixed. The latest release of Beauty Box Video (v4.1) contains a bunch of fixes for video cards that use OpenCL (AMD, Intel). So if you're using those cards it's a worthwhile download. If you're using Resolve and Nvidia cards, you also want to download it as there's a bug with CUDA and Resolve and you'll want to use Beauty Box in OpenCL mode until we fix the CUDA bug. Adobe CC 2015 is now supported. If you applied Flicker Free or Posterize Time to a Photo-Jpeg or .mxf file and tried to render it you'd get a 'Error Compiling Movie' error. This is now fixed. Beauty Box users on Windows were having trouble connecting to our licensing server. This is now fixed. So the regular serial number will now work without any problems. 3.0 takes the best selling and most awarded skin smoothing technology available and makes it even better. We've improved the automatic mask which gives you more precise retouching capabilities and added in presets to give you a variety of styles on top of the main functionality of smoothing out wrinkles and blemishes. Beauty Box Video skin retouching plugin gives your actor or model an incredible makeover in post-production by incorporating state-of-the-art face detection and smoothing algorithms. This video plugin automatically identifies the skin tones and remove imperfections, while leaving important facial details sharp. Editors and artists no longer have to manually create masks or retouch frame by frame. Whether it is used for a feature film, music video or a corporate talking head, Beauty Box Video is a powerful tool for any production that requires people to look their best. Faster Rendering: A complete rewrite of the skin-smoothing algorithm means Beauty Box is up to 300% faster on ATI and Nvidia cards. Shine Removal: Get rid of hot spots caused by shiny skin and bright lights! This feature dramatically reduces the effect of poor lighting conditions. Better Masking: The skin tone mask algorithm has been improved for a better automatic mask. 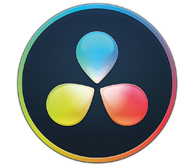 Support for Final Cut Pro X: Beauty Box now fully supports Final Cut Pro X, along with earlier versions of FCP. Better Performance in Premiere Pro: The new algorithm brings improved stability and speed in Premiere Pro. Works with Mac or Windows. Currently Beauty Box Video 4.0 is optimized for After Effects, Premiere Pro, Final Cut Pro X, Davinci Resolve, Avid, Assimilate Scratch, Nuke, and Vegas. 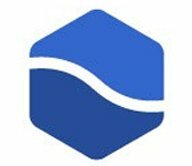 Beauty Box Video works in Davinci Resolve, Assimilate Scratch, Nuke, Sony Vegas 12/higher, and other OpenFX hosts on Mac and Windows. Digital Anarchy's Beauty Box is proof that not all diffusion filters are created equal. It perfectly balances good looking results with outstanding usability. While it's a great tool for any editor, I would highly recommend it to documentary filmmakers who shoot a lot of interviews. Do you need to make some small fixes to the skin of your actor, like fixing a blemish or blotchiness? Here’s part 1 of a 2 part series on Skin Retouching and Digital Makeup to get you started! Need to touch up your actor’s complexion quickly and easily? There are a lot of plug-ins on the market that can help you with this task. I’ll cover the big players and a few new to the market: Digital Anarchy Beauty Box, GenArts Sapphire S_Beauty, FXHOME HitFilm, the recently released Imagenomic Portraiture for video, the brand-spanking new Dashwood Smooth Skin. Red Giant Cosmo and Colorista II are also on the agenda. Since I started this series, there have been a couple of new tools on the market for skin touch-up and smoothing, as well as a couple of useful tutorials on the topic. I’ll talk about Sheffield Makeup Artist III, which came out in February, and Boris Continuum Complete Beauty Studio. Digital Anarchy has a few new tutorials featuring Colorist Jason Bowdach discussing how he uses Beauty Box Video for commercial work. In this tutorial we use Samurai Sharpen and Beauty Box together to both sharpen and smooth video footage. Often with beauty work you want to sharpen areas like eyes and hair but smooth out skin areas which can show too much detail with HD and 4K. Here we show you how to deal with both problems!